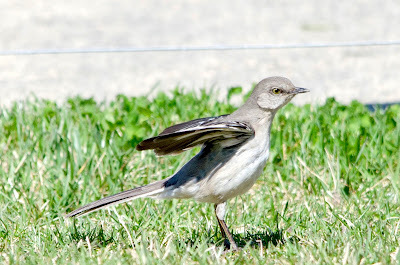 A northern mockingbird landed on the ground near me and performed this wing-flashing behavior for which mockingbirds are famous. 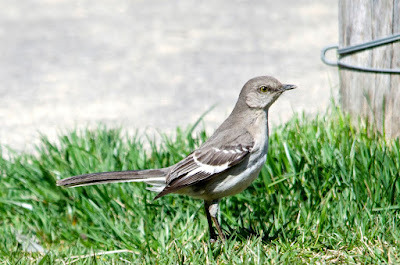 The bird took a a couple of quick steps, stopped, and in a few jerky movements lifted and spread its wings, showing off its white wing patches. Then it took a few more steps and did it again, as it made showy progress across the lawn. 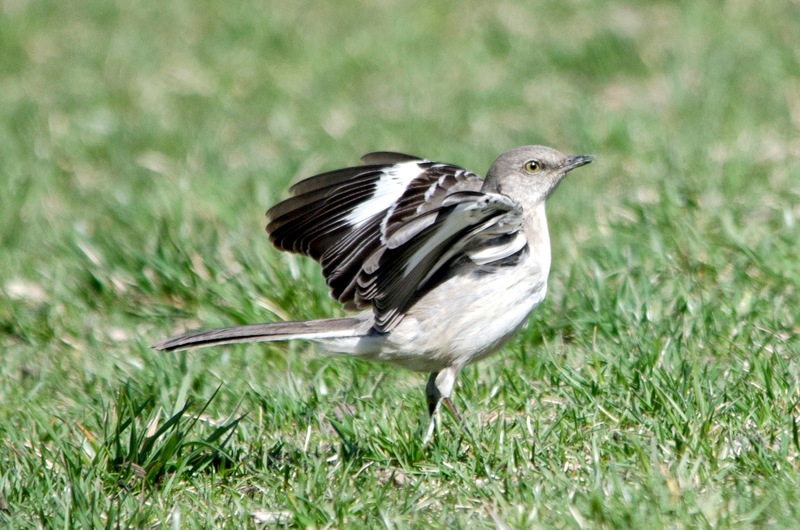 Wing-flashing in mockingbirds is usually explained as a foraging technique that startles insects into view. There are other birds that hunt insects by flashing their wings like this; it's called flush pursuit. 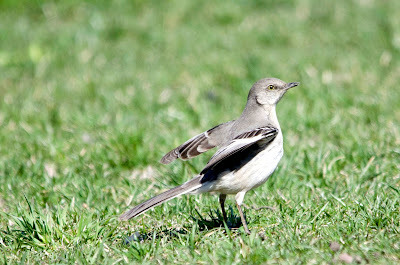 But mockingbirds flash their wings at other times, too, not just while foraging. They do it when confronting predatory birds like owls, and they do it in territorial disputes with other mockingbirds, for instance. 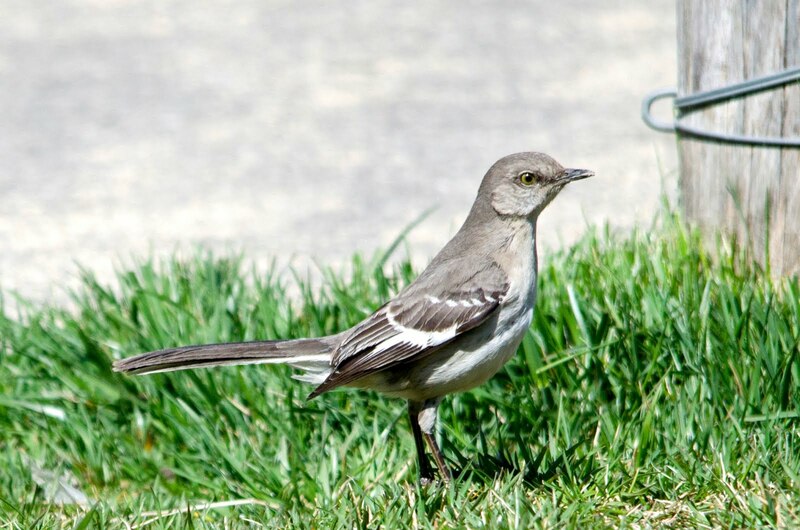 In 1960, ornithologist Robert Selander suggested that mockingbirds flash their wings in situations that make them anxious, like when they are on the ground exposed to predators. He thought the wing-flash was a kind of ritualized intention to fly that evolved as a social signal and acquired the coincidental benefit of flushing insects. Selander speculated that individual birds learned to associate wing-flashing with foraging through the positive reinforcement of enhanced hunting success. Read the original paper "On the Functions of Wing-flashing in Mockingbirds" by clicking here. Thanks! They are such cool birds.